As our taxi dropped us off at the Salthouse on a late spring evening the sun was glistening on the water and reflecting off the gleaming boats; a truly idyllic scene, and it reminded me, with little surprise that in a recent film promoting the best Ipswich has to offer – google ’Ipswich Revealed’ to see it - the waterfront was chosen for the opening sequence. By time we left it seemed fitting that the closing shots of the film are of happy diners leaving the Salthouse Harbour Hotel. Despite what has seemed a slow burn for the rebirth of the waterfront, and with development work still ongoing, I think it is safe to say that something of substance has been built that will enhance the town for years to come and on this fine warm evening it definitely felt more Riviera than River Orwell. As readers who recall a review we did last year will know, we are fans of the Salthouse. It is a venue that in our opinion consistently delivers. The food has always been excellent and the actual restaurant with its ever changing quirky artwork never fails to intrigue. 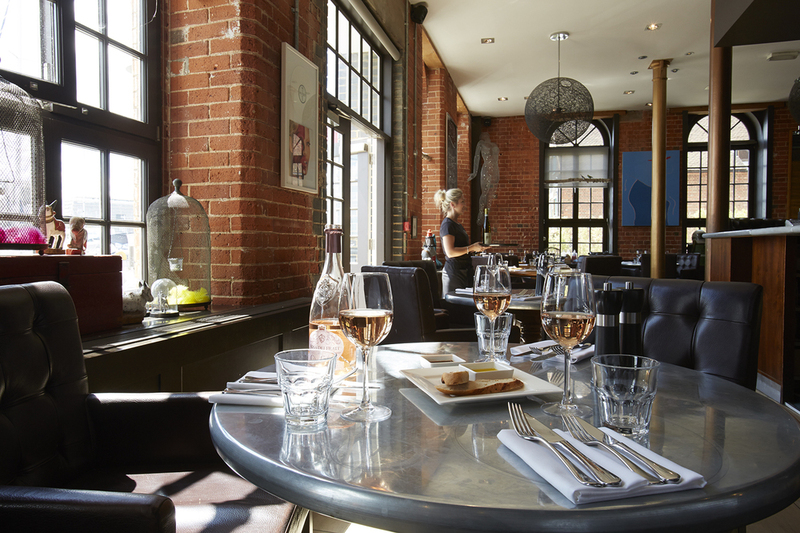 Add to this the vista of the marina through the expansive windows and whatever time of day or year we always feel a visit to the Salthouse is an experience rather than just a meal. The reason for our visit on this occasion was to sample one of the Salthouse’s regular wine nights. This particular evening’s offering; an introduction to the best of Argentina. Although I have been to a wine tasting evening before, a wine night, with specific wines matched to a set menu was a first for me. I enjoy wine but wouldn’t claim to have any detailed knowledge or a particularly refined palate. I think I am like many people who have a good idea of what they like and when ordering to accompany a meal stay comparatively safe and look for something that will suit the table as a whole. Not a bad thing but certainly not a way to expand one’s knowledge or to discover new delights. 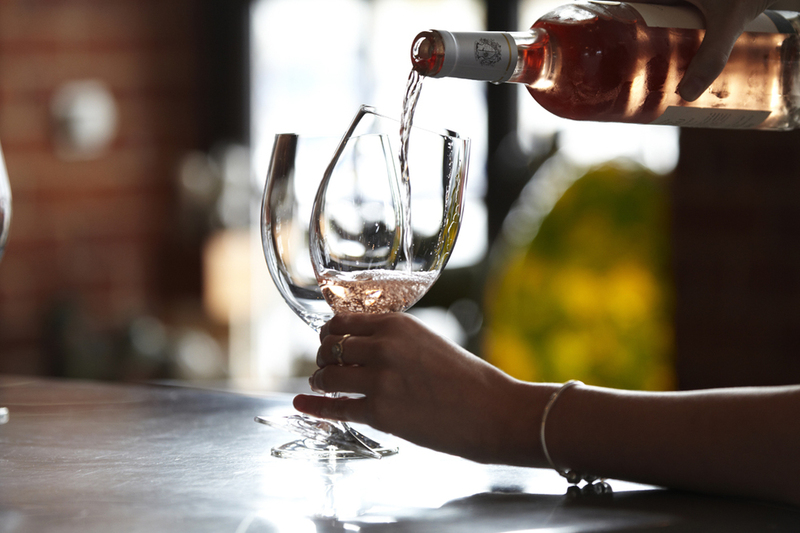 The Salthouse, and sister hotel The Angel in Bury St. Edmunds, looks to run a wine evening most months with generally only August and December without one scheduled. Wine is passion of owner Robert Gough and it is clear this enthusiasm runs through the organisation. Gough Hotels have built strong relationships with specialist suppliers and it is experts from these companies that come and share their knowledge and insight with the diners. Our guide for the evening was Peter Rowe from Liberty Wines, winners of the 2014 International Wine Challenge Trade Merchant of the Year Award. On arrival my wife and I were greeted with a glass of Valentin Bianchi NV Brut Valentin Bianchi; a crisp refreshing sparkling wine with deep flavour. It was a very good alternative to what seems to be becoming the ubiquitous prosecco and, as we were later to discover, at a retail price of only around £12 a bottle far better value than some over-priced Champagnes. The format for the evening was a set four course menu with different wines accompanying each course and Peter giving a brief introduction to each. I won’t bore you with a blow by blow recollection of each point but suffice to say Peter’s passion, knowledge and relaxed delivery were a perfect combination. Did you know that Argentina was once the world’s largest producer of wine and at a time when the average consumption of wine per person in the UK was just three litres per year (that time being the 1970’s) the Argentinians consumed an average of 90 litres. Now that they are the fifth largest producers and have moved away from a mentality of quantity over quality Peter also went on to explain why the geographically and topographically the country is ideally suited to wine production and with imagery such as vineyards being fed from intricate irrigation channels formed to capture the melting winter snows from the Andes diners were quickly absorbed in the whole experience. For our starters we were treated to a Salmon cerviche with roasted corn and rocket accompanied by a 2014 Amalaya Torrontes Riesling. Both were excellent. Peter explained how the producer s managed to make the Riesling, normally considered quite sweet, into an intensely fruity but comparatively dry wine. He was right. As well as wine Argentina is famous for its beef and it was therefore fitting that the main course was a BBQ sirloin steak with chimichurri and a bean salad. With it came not one but two wines; the 2013 Mendoza Malbec Clasico and 2012 Ultra Mendoza Malbec. This really was new territory drinking two wines made from the same grape in the same region but with distinctly differently finishes really did illustrate how much wine can vary and how being guided by an expert does enhance the experience. The younger wine was smoother and in my initial opinion far more drinkable, the Ultra however when combined with smokiness of the chargrilled steak was magnificent and the one I chose to top up my glass with. Next came the cheese course and a 2013 Enamore Bodega Renacer made with grapes that are laid on racks and dried in the Argentinian sun. With a flavour verging on port but with none of the associated heaviness it was truly superb. Finally we ate a divine rhubarb and orange sorbet with vanilla pannacottta and crumble. The wine was a 2011 Late Harvest Semillon again from Valentin Bianchi. Not normally a big fan of dessert wines I was wowed by this one, sweet but surprisingly light. Peter’s tutorage throughout the evening was spot on. There was no pretentious wine speak but just good interesting and well informed commentary that elevated the wine from something you had with the meal to an integral part of the overall enjoyment. As we sat in the hotel lounge overlooking the marina waiting for our taxi - it is a definite evening for a taxi – we reflected on what a great evening we had enjoyed. The four excellent food courses alone would justify the £45 a head the evening costs, add to it the generous sampling of six fine wines and it is hard to imagine a better value dining experience and we will definitely be returning.